The Four Seasons gets rid of its piano man. Ho hum. SoMa/Yerba Buena: In a somewhat tragic sign of the times, the Four Seasons let go of its beloved piano man in a cost-cutting move this week. We're told the move will, in theory, be only for a few months while the economy is down, but it remains a disappointing discovery nonetheless. 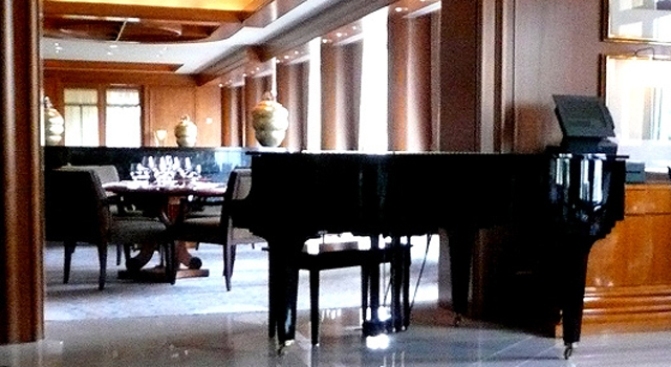 Once a beacon of sophistication, the lonely grand piano still remains in the area between the bar/lounge and the formal dining room, but it sits empty, soon to be relegated to storage. Again, the move is hopefully temporarily, but still, sad. Not even the piano man is safe.